19 years ago, a young man by the name of Michael Vick from Newport News, Virginia committed to play Quarterback at Virginia Tech. Vick’s time at Warwick High School made him one of the most touted recruits of his era. 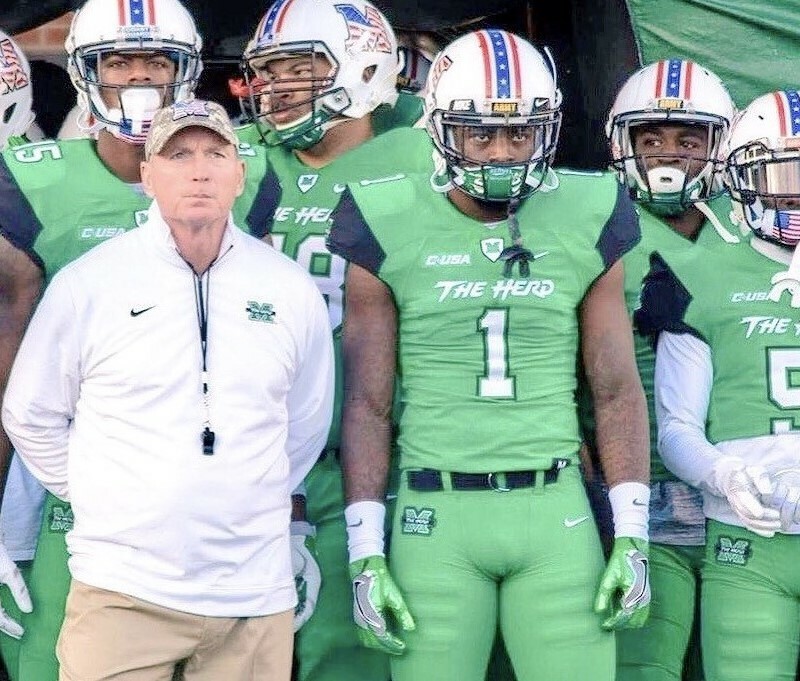 Coach Frank Beamer and the rest of the Hokies staff knew they were getting a good player, but they had no idea what Vick had in store for the University and game of football. In September, Virginia Tech will be honoring this now grown man, as they induct him into their Hall of Fame. It has been 17 years since Vick stepped on the field at Lane Stadium, but the effects of his presence is still being felt throughout the program. An induction into the Hall of Fame for this athlete, should have happened much sooner, and here is why. In his freshman year, Beamer decided to redshirt Vick so he could gain as much knowledge and preparation as possible for his future at Virginia Tech. The time he had to study the game showed in his first full season as a starter. 1999 was the first year the electrifying QB stepped on the field as a starter for the Hokies. Vick did not disappoint either. 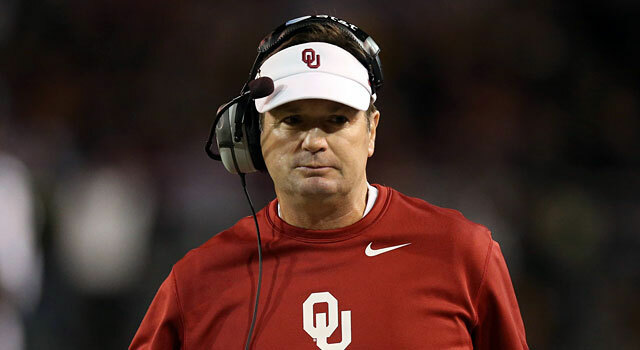 The third place finisher in the Heisman Trophy race led Virginia Tech to an 11-0 record and a National Championship Berth. This was the school’s first Championship appearance in its history, and Vick was able to deliver that as basically a rookie. The college game had not seen a player like Vick in sometime, especially at the QB position. The physically gifted athlete had a cannon for an arm, but he kept defenses on their toes with his legs. In his first year with Virginia Tech, Vick rushed for a tick under 700 yards and added 9 touchdowns. He could make any and all defenders miss tackles, and always turned what looked like a negative play, into a positive. 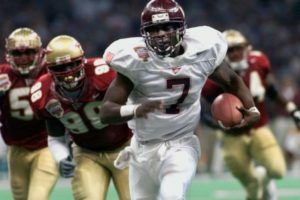 Over the course of his two year playing career with the Hokies, Vick totaled over 3,200 yards passing, 1,199 yards rushing, 21 passing TDs, and 17 rushing TDs. To say he was electrifying is an understatement. 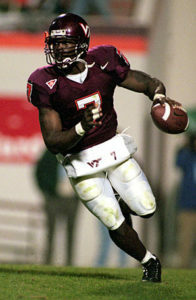 Vick had a career record of 20-2 at Virginia Tech, and led the Hokies to two straight bowl appearances. Virginia Tech wasn’t necessarily “on the map” before Vick committed there. The program was headed in the right direction though when Beamer became Head Coach in 1987. In Virginia Tech’s 95 year existence before Vick decided to join the Hokies, they competed in just 11 bowl games, winning only three. To take a more detailed look, Virginia Tech had just two 10 win seasons in that span. Vick was able to add two more for their record books. 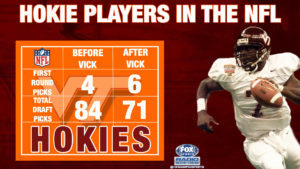 Vick’s play did more for Virginia Tech than just getting the university wins. His persona and impact on the school as a whole has been felt even after he left for the NFL in 2001. The Hokies have had much better recruiting classes post Vick. 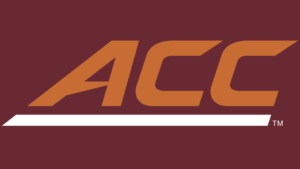 They have also been able to move to a better conference in the ACC. The change of conferences has brought in more revenue for the school. Virginia Tech has made it to 16 straight bowl games since Vick, their longest streak in school history. To top it off, before he made his way to Blacksburg, Tech had won just five conference championships. With Vick and post Vick, the Hokies have won a combined five conference championships in 18 years. 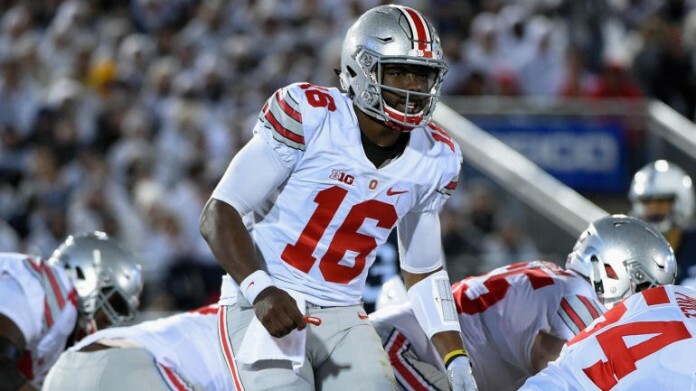 The electrifying QB was able to revolutionize the culture and prestige of the program, which has set them up in the position they are in today. 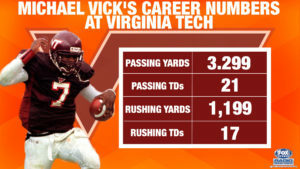 Vick put Virginia Tech on the map, and they have stayed there since. He has paved a way for QBs like him and players from Virginia Tech to make it to the biggest stage of them all, the NFL. Before Vick stepped on the field, the Hokies had four players selected in the first round of the NFL Draft. Since Vick left, Tech has had five players drafted in the first round. Taking those numbers further, here are how many people have been drafted in the NFL before and after Vick at Virginia Tech. Many do not believe Vick should go into any sort of hall of fame. This is because of his involvement in dog fighting. For years in the early to mid-2000s, Vick was part of a dog fighting ring called Bad Newz Kennels. He was later found guilty of lying about his involvement by the Surry County Grand Jury. He was sentenced to 23 months in prison. Vick did his 23 months and bounced back in the NFl with a job for the Philadelphia Eagles. Life is about second chances. America is surely about second chances. Michael Vick has done his time and should be forgiven. Was the hold up on his induction based on the publicity the school may get because of his past? We may never know. 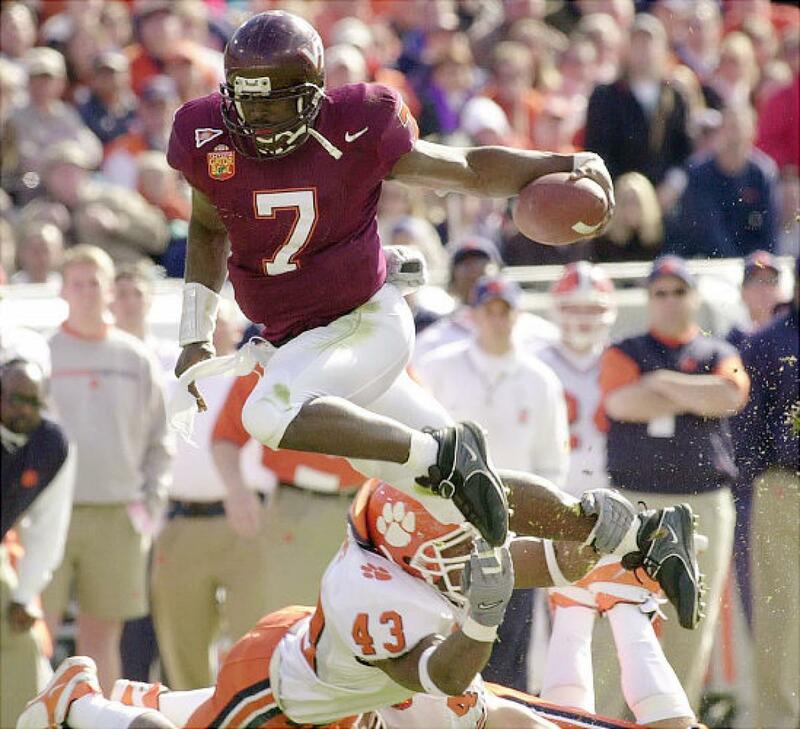 What I do know is Vick will be inducted into the Virginia Tech Sports Hall of Fame in two months. What he has done for this University; he should have been in there years ago.